Like last year's conference, NECSS 2014 was held at the Fashion Institute of Technology, though they changed to the Reeves Great Hall for the main conference venue, rather than the Haft Auditorium. The sponsors' tables were set up to the sides of the room, with chairs set out for the audience and a raised platform for the speakers along one long end. The space also provided for a coat room, green room and better camera angles for the photographers, but last year's setup was better for the sponsors and audience. Also like last year, several workshops were held the day before the main conference, as well as Stimulus/Response, a blend of education and entertainment. Video of the conference will be made available on the NECSS YouTube channel once editing is completed. You can also find video of previous NECSSes at that link. This year's Stimulus/Response was in two parts. The first portion consisted of Brian Francis Slattery and George Hrab alternating readings of science (Slattery) and pseudoscience (Hrab) texts, while a full band improvised musical accompaniment. The band included John Pinamonti on guitar, Nate Landau on bass, Adam Matlock on clarinet and accordion, Charlie Shaw on drums, Brian Wecht on keyboard and Slattery playing fiddle during Hrab's readings. The science texts read by Slattery were thought-provoking, starting with an excerpt from Charles Darwin's On the Origin of Species to Albert Einstein's On the Electrodynamics of Moving Bodies to Stephen Hawking's A Brief History of Time. Against this, Hrab's comedic presentation of Deepak Chopra's nonsensical babble, Scientology's OT Level 3 documents (those are the parts that talk about Xenu and thetans), and excerpts from ear candling proponents' instructions for use. The music was good and offered a nice counterpoint to the spoken text, but it did drown out Slattery and Hrab at times, making it very difficult to follow what was being said. After a short break, the second part started. Last year, Jay Novella was pulled up on stage and asked a number of questions about his life, forming the basis for some improv sketch comedy performed by Upright Citizens Brigade. This year, Jay's brother Steve Novella was the target volunteer for some treatment by The Scene. We learned some interesting things about Dr. Novella, like how he ran a role-playing game company for 5 years and was an active LARPer (live action role-player). While last year gave us Jay's Dr. Success, this year we learned about Steve's Admiral Mandrake, one of his LARP characters. This part of Stimulus/Response was very entertaining, earning lots of laughter from the audience. The first day of the conference opened with educator Angie McAllister, PhD. Observing that everything we do requires good, quality thinking, Dr. McAllister focused on how we can be mentors to the young people we meet. Critical thinking, she notes, is the awakening of the intellect to the study of itself, and we need to nurture this in our children. 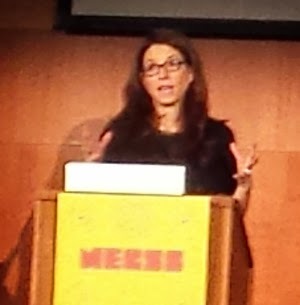 Her talk centered around Bloom's Taxonomy of Learning. This can be depicted in a hierarchy, with "Remembering" forming the base, and moving up through "Understanding", "Applying", "Analyzing", "Evaluating" and "Creating". Schools are generally very good at the first three. They drill in facts through rote learning, discuss the facts to demonstrate understanding and apply knowledge to show how things work. The "Applying" tier is where misconceptions and lack of understanding really appear. Where schools can do better, and where skeptics can make a big difference, is in the top three tiers. Teach how to analyze a situation, to take the perspective of someone else and figure out what worked with a plan and what didn't. Next is evaluation; assess, judge and draw conclusions. What were the logical fallacies in an argument? Is a punishment fair? Why or why not? And all of these build up to creating plans, composing, designing and building. In school, this could be building a diorama, constructing a balsa bridge or modeling mitosis with Twizzlers. "Real" world examples would be proposing an alternative punishment, keeping a journal or proposing legislation. McAllister gave the example of Liz Hayward, whose Christian Science parents refused to get her medical treatment for a staph infection. She ended up losing her leg, but had no legal recourse due to New York's religious freedom defense against medical neglect. McAllister concluded by suggesting that we use the language of Bloom's Taxonomy when helping young people learn how to think critically. 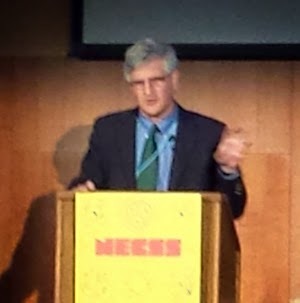 After a bit of technical difficulty getting the slide deck to show, Dr. Paul Offit, Chief of the Division of Infectious Diseases and the Director of the Vaccine Education Center at the Children’s Hospital of Philadelphia, discussed the 1990-1991 measles outbreak in Philadelphia. Beginning in October 1990, a measles outbreak quickly spread through Philadelphia. By December, there had been 258 cases and the first death in the city in 20 years. By June of the following year, the total case count had climbed to 938 cases. Two faith-healing churches, Faith Tabernacle Congregation and First Century Gospel Church, contributed significantly to the speed at which the outbreak grew, as well as the severity. In the span of ten days in February, 5 children at Faith Tabernacle died. While measles typically has a death rate of 1-2 per 1,000, in this outbreak, the death rate was 1 in 35. The virus wasn't any more virulent than usual. The problem was that the parents, who denied vaccination for their children, also denied them medical care. Even basic interventions like IV fluids for dehydration and oxygen for those having difficulty breathing. The court stepped in to compel the hospitalization of sick kids against the parents' wishes, while the city became a feared destination. Tourism dropped and school trips were canceled. As the outbreak progressed, the Deputy Health Commissioner, Robert Ross, sought a court order to forcibly vaccinate the children. It was an unusual, drastic step, but, according to the courts, was well within the state's rights (see, for example, Jacobson v. Massachusetts). The churches sought the help of the American Civil Liberties Union, which has a history of fiercely defending the religious and free speech rights of even the most heinous individuals, such as Neo-Nazis, KKK members and Westboro Baptist Church, which is notorious for protesting at soldiers' funerals. The ACLU declined to help, saying that "[t]here is certainly a free exercise of religion claim by the parents, but there is also a competing claim that parents don't have the right to martyr their children." The outbreak serves as a cautionary tale of what happens when religion and medicine collide, as well as what happens when measles outbreaks run rampant due to lack of complete vaccination. If we get to about 600 cases a year, Dr. Offit concluded, we will see more deaths. Dr. Heather Berlin, Assistant Professor of Psychiatry and Assistant Professor of Neuroscience at Mount Sinai Hospital, gave the last talk before lunch. She began with an overview of consciousness, our first-person subjective experience, vs. unconscious thought. 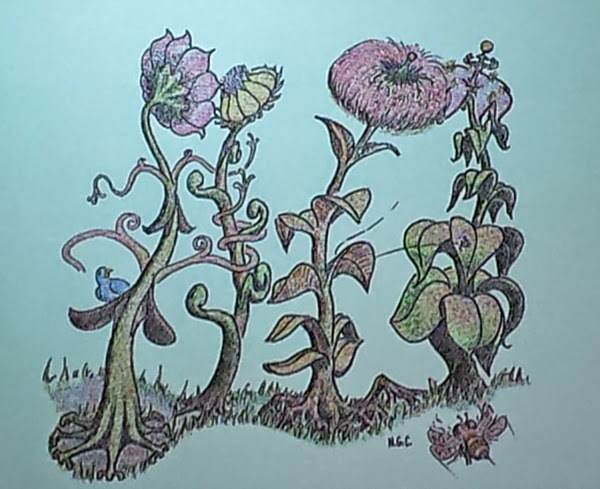 An emergent property of biological systems, consciousness is not unique to humans. Animals display signs of consciousness, awareness of subjective experiences, like pain or pleasure. But what are the neural boundaries for the neural correlates of consciousness? How much brain do you need? Dr. Berlin describes it as a coalition of neurons, firing together in sync, but not at the same time. It is like an orchestra playing a piece, many different individuals playing their part, but in harmony with others. There is evidence we may not be as in control of things as we thought. The unconscious mind is hard at work, being influenced by our environment without realizing it. As an example, there may be hidden messages in a picture, or we may be primed by prior experience. Briefly show one group of people a boy behaving well and another group the same boy behaving badly. When shown a neutral picture of the boy and asked to describe him, the first group will describe the boy as good, while the latter will have a negative impression. Dr. Berlin went on to note that for simple decision-making, we tend to be more satisfied if we think about it, but for more complex decisions or problems, we tend to be more satisfied with our decisions if we are not allowed to think about it, if we "go with our gut". Distraction can lead to better problem-solving. Consciousness gets in the way. What does all this have to do with free will? A variety of neuroscience research shows that the brain becomes active before we are even aware of our decision to do something. For example, when pressing a button, we are aware of the decision roughly 150-200 milliseconds (ms) before the action, but brain activity increases 4-10 seconds before we're aware. And the urge to do some act can even be stimulated artificially. Okay, so our brains are already in action before we're consciously aware. That means our decisions aren't actually under our conscious control. But when we are aware of a decision to do something, we have about 150ms to "veto" the decision before we act. If we can veto the action, that means we do have conscious control, right? Well, not really, since the "veto" also arises from brain activity that begins before we're aware of our decision to veto. There is still a lot unknown, like how and why priming works or how subconscious thoughts become conscious. While we may not have "free will", we can work to understand our subconscious and bring it to the conscious. 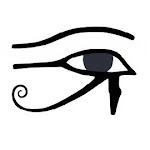 "Strive to know thyself." 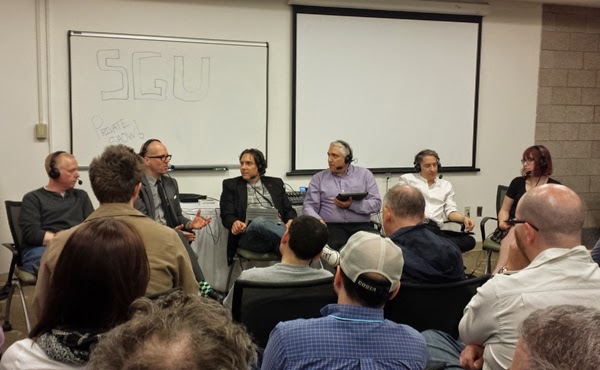 After lunch with Vijay Dewan, where we had an...interesting...conversation with another attendee, the afternoon picked up with a live recording of The Skeptics Guide to the Universe, episode 458, which went up on the web on April 19. The cast uses the live NECSS recording as an opportunity to remember Perry DeAngelis, one of the co-founders of the New England Skeptical Society. (Evan Bernstein wrote a nice tribute to Perry.) 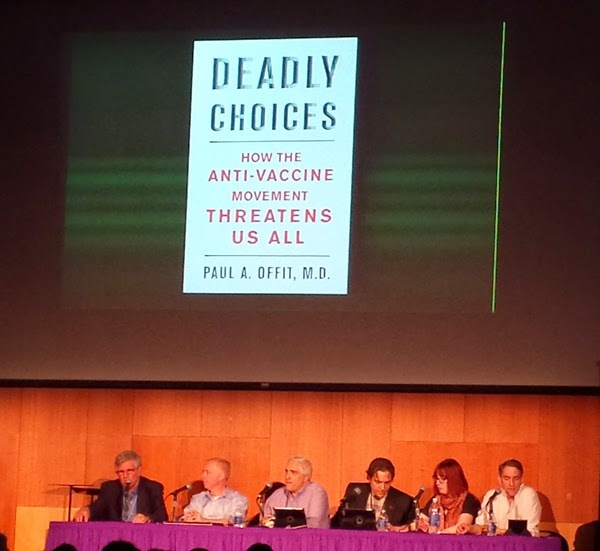 This year, Dr. Paul Offit was a guest on the NECSS live show. Topics included the approval of meningococcal B vaccine to be given under compassionate use during the recent outbreak of that disease on two college campuses. It's the first time that compassionate use has been granted to an unapproved medical product given to healthy individuals. They also discussed Dr. Offit's upcoming book examining the clash between religion and medicine. Rather than go into a detailed account of the episode, though, I encourage you to go listen to the podcast if you don't already. After a brief break, Jeanne Garbarino, PhD moderated a panel on women in science, including Deborah Berebichez, PhD, Heather Berlin, PhD, Latasha Wright, PhD, Elise Andrew and Col. Cady Coleman, PhD (USAF, Ret.). Just 25% of STEM (science, technology, engineering and mathematics) go to women, and women earn only $0.88 for every dollar that a man makes in an equivalent STEM job. There are two themes that came out of the panel within this cultural context. First, women are often discouraged from pursuing science. Something happens between when we are children, with a love of science, exploration and investigation, and when we are adults, when we hate science. Those who persevere and find success and become known, those who are outspoken, frequently find themselves the targets of abuse.The second theme was female role models. Col. Coleman was inspired by astronaut Sally Ride. Seeing her made becoming an astronaut herself real. What can we do to change behavior and policy? How can we improve the situation facing women in science. We need to be open to our own stereotypes. We all judge, but we need to be aware of our own biases. Ms. Andrew related an experience of passing a store with a beautiful model out front who recognized her. The woman told Ms. Andrew, "You should come to my lecture." Elise admits to being a bit judgy; this woman looked the part of the model. It turned out that she was working on her PhD on stem cell biology. We also need to increase the visibility of women in STEM roles, harking back to the priming that Dr. Berlin discussed in her talk. But this can be difficult, dealing with the attention of being a role model. It is a problem that faces men as well as women, and finding the right, charismatic people to step up is hard. Work conditions also need to change to accommodate childrearing. Socializing also deserves attention. Dr. Wright notes that by as early as 3rd grade, boys are still rough, but girls are starting to try to be "pristine". We view boys as "assertive" but the same behavior in girls is seen as "pushy" or "bossy". One comment that put me off a bit was Dr. Berlin's assertion that due to biological differences, boys tend to be more extroverted, while girls tend to be more introverted. Her claim seems to be that it is biology, not socialization, that determines how likely it is for girls to put themselves out there, take risks. Personally, I don't buy it. Certainly biology plays a role, but how society views and treats girls vs. boys, men vs. women, should not be dismissed. It seemed to be a moment of Dr. Berlin seeing the issue solely through the lens of her neuroscience specialty. 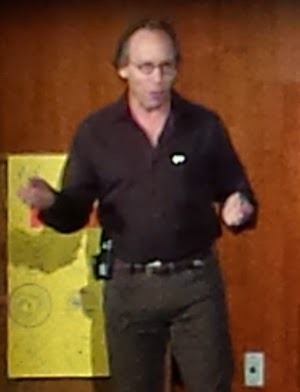 The final speaker of the first day was keynote speaker Lawrence Krauss, PhD. He opened with the joke about the spherical cow. For those of you who don't know, the joke goes something like this. A dairy farmer is concerned about low milk production on his farm, so he turns to academia for help. The team is headed by a theoretical physicist. They consider the problem and it's left to the physicist to present their findings. "We have a solution," she says, "but it only works for spherical cows in a vacuum." Dr. Krauss expanded on this, explaining why a spherical cow isn't such a bad idea. It's a good way to simplify a complex problem. For milk production, you could create a super cow that is twice as big as a normal cow. By picturing them as spheres, though, you can simplify and approximate your calculations, finding that said super cow would have 8 times the volume but only four times the surface area, so it would fall apart under its own weight. The caluclations are much simpler than finding the exact measurements of a real cow. Dr. Krauss then extended the thought experiment to the history of figuring out how long the sun could burn. Various scientists through history have constantly been testing different notions about the age of the sun and the Earth, first thinking about the sun burning by chemical processes (e.g., core made of coal), which produced a figure of around 10,000 years, to thinking it was powered by the energy given off by matter falling into the core producing a figure around 100,000 years. But this figure was still not right, because there was evidence that the Earth was much older than that. So there had to be some other, as yet unknown, energy process. Enter nuclear power, which set the age of the sun to billions of years old. But if this were correct, then, science predicted, it should be giving off neutrinos. These were particles that were even more basic than protons, neutrons and electrons that would have very weak interactions with other matter. Physicist Ray Davis dedicated his career to studying neutrinos. He thought that a neutrino interacting with the nucleus of an atom of chlorine would turn it into argon. To test this hypothesis, he built a detector underground to shield it from other cosmic rays. The detector was filled with 100,000 gallons of perchloroethylene, a common dry-cleaning agent. His experiment was a success, earning him a Nobel prize and confirming the earlier prediction about neutrinos. The point of all this was to illustrate how you can make questions more interesting by making them relevant and using simple tools to make it exciting. Many people don't like physics because they think they have to memorize a lot of equations and details, but you don't necessarily have to do that. You can work with what you know, figure out what doesn't work and should be discarded and figure out what does work and should be kept, if only provisionally. And when it comes to physics, everything is measured in only three basic quantities: mass, length and time. Dr. Krauss was very energetic and humorous during his talk; it's a skill and style that more science teachers, particularly in middle- or high school, could really use. I have to admit, though, that when he got really excited, all I could do was picture Wallace Shawn as Vizzini from The Princess Bride, one of the greatest films of all time. It was an entertaining (and educational) presentation. As in past years, the SGU crew hosted a private show. I missed the chance to get tickets when they first went on sale, but managed to grab one of ten tickets they added a couple weeks before NECSS. The private show is a chance for fans to see the rogues are behind the scenes, before the show is edited and some of the jokes and banter are cut from the final version we hear each week. Always a good time, this year's show was probably one of the most entertaining I've had a chance to see. The crew was a lot looser than usual and we were treated to something that may or may not make it into the final cut: 18 little-known facts about the cast (and guest rogue George Hrab), which the audience had to try to figure out. From there it was off to Drinking Skeptically, joining other conference attendees at Connolly's Pub (the one on 45th, not 54th - who puts two pubs with the same name just blocks away from each other? I mean, seriously!). It was a great chance to sit and chat with people, including some of the speakers, in a relaxed, festive atmosphere. It was a wonderful close to the first day of the conference. "A variety of neuroscience research shows that the brain becomes active before we are even aware of our decision to do something." There is considerable valid criticism of this research. I hope that was covered, as well.